Archives, all across the United States, have historically been venues that excluded the voices of marginalized communities. That is problematic for many reasons but most importantly future generations will not have a full picture of history as it happened. When multiple segments of a story are discarded, the story is far from reality and can be distorted in any way that suits the desired narrative. That is a powerful and dangerous weapon. My calling as an archivist is to fill in those gaps. More than accuracy, archives are a stamp that someone was here. Archives are a stamp that someone did something. It is a tool of empowerment. Representation is a necessity for communities that have been silenced for generations. The HBCU Connections at ISU, a wiki featuring black ISU alumni who learned and worked at historically black colleges and universities (HBCU), was a labor of love and of duty. It was my responsibility. Black students have been here at Iowa State. They have accomplished things that people at the time – and people now – could not even imagine. However, there was very little evidence of them in our archive, so I began to research. In the early part of the 20th century, black people were suffering, living and dying under Jim Crow laws but still had this resilient spirit and desire to give back to their communities through education. HBCUs were in their infancy, but were essential in this endeavor. Through my research, I found that many black people, who passed through Iowa State for undergraduate or graduate degrees, went on to – or in some cases, back to – HBCUs to build the school and, in essence, the black community. This project covers any black Iowa State alumni from 1900 to 1950 who went on to serve at an HBCU in any capacity. It features professors to presidents. It is meant to be a living platform that can be updated as additional information becomes available and uncovered. *If you have any updated information to add to this project, please email it with sources to archives@iastate.edu. This project is also meant to bridge the gap between the Iowa State University archives and the archives at the various HBCUs with whom I communicated. HBCU archives are traditionally under-funded and under-resourced. My hope is that this bridge is helpful to them in some way. Lastly, my hope is that this project is helpful to future scholars who need to see the stamp of their ancestors and follow the breadcrumbs that they left us on how to help raise up the community. On this day in 1943, George Washington Carver, arguably Iowa State’s most famous alumnus, died. The iconic scientist’s research resulted in the creation of hundreds of products derived from plants. His products and his farming methods transformed the rural ecomony, helping farmers and their land flourish. Today, we honor him for his achievements and the impact they have made on the world. Photograph of George W. Carver I.A.C. Class ’94. Taken in 1893. 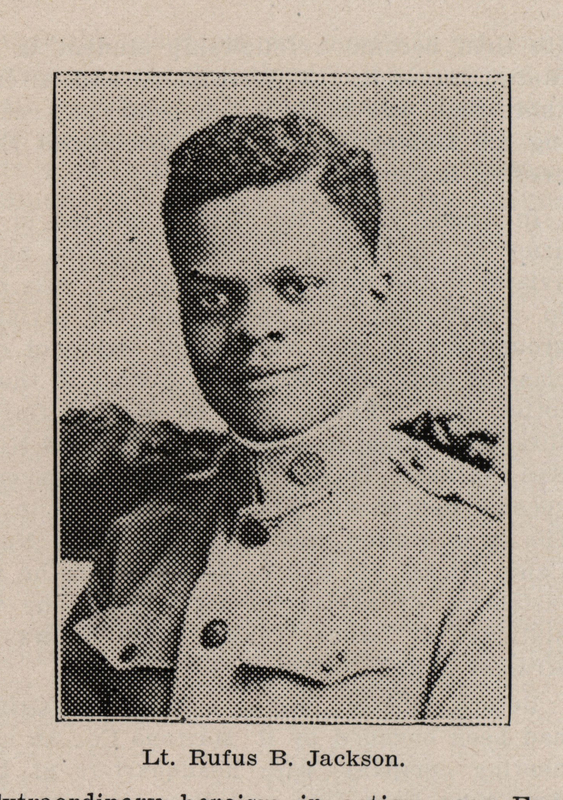 This was Carver’s graduation picture, which appeared in the 1894 Bomb, Iowa State’s yearbook. The same picture appears in the faculty section of the 1896 Bomb, when he was Assistant Botanist in the Agricultural Experiment Station from 1894-96. 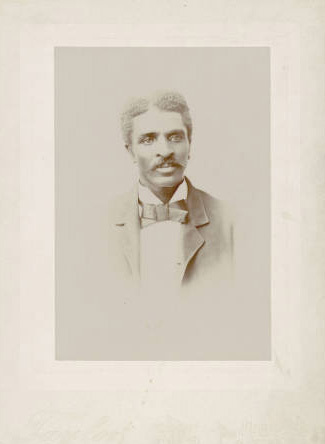 To learn more about George Washington Carver, view the guide to his collection and come to Special Collections and University Archives in-person and see his papers in our reading room. To see a great selection of his papers, browse his digital collection. Learn more about Iowa State University Library’s digital collections. You will have guaranteed hours of enjoyment. Jack Trice and Alpha Phi Alpha Fraternity, Inc. This week, we are pleased to feature a guest post by Charles Stewart, Jr., Ph.D. (B.S. 2000). Stewart is an Associate Scientist for the Office of Biotechnology and Manager of the Macromolecular X-ray Crystallography Facility at Iowa State University. He is a Spring 2003 initiate of Iota Iota Lambda (Ithaca, NY Alumni Chapter), Alpha Phi Alpha Fraternity, Inc. Earlier this year, while browsing social media I stumbled upon a photo of Jack Trice with his fraternity brothers of Alpha Phi Alpha. I was drawn to this photo because like Trice, I am a member of Alpha Phi Alpha and attended ISU (B.S, 2000). 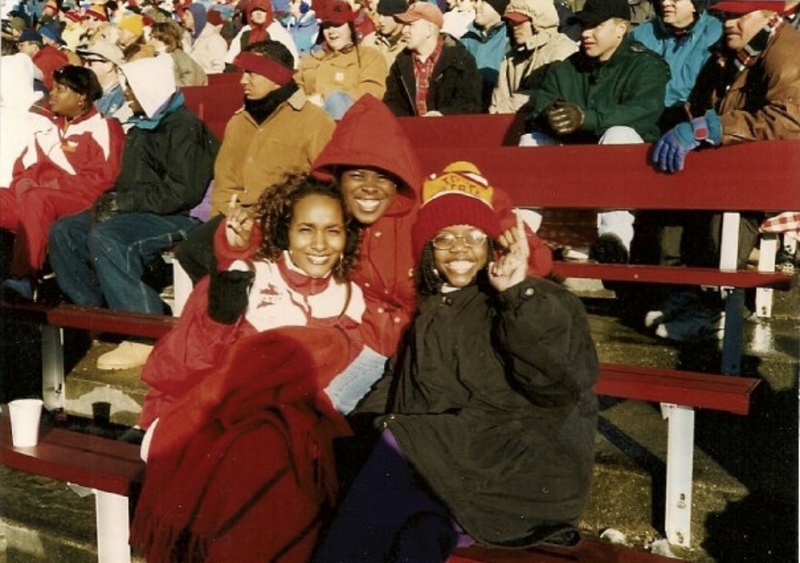 Many in the Cyclone family are aware of Jack Trice’s fatal football game. However, Trice’s life on campus appears lesser known. Alpha Phi Alpha Fraternity, Inc. is the first intercollegiate Greek-lettered fraternity founded by African-Americans. The fraternity has been interracial since 1945. Alpha Nu was chartered on Thanksgiving Day in 1922 and initially served as the undergraduate chapter of Alpha Phi Alpha for college men from Iowa State University and Drake University. As I browsed back issues of the Sphinx magazine, the official magazine of Alpha Phi Alpha, I was pleasantly surprised to find a few references to Jack Trice. The photo mentioned above comes from the June 1923 issue (Vol. 9, No. 3, Page 17) and is accompanied by a short article describing activities of the recently formed Alpha Nu chapter. The chapter was preparing to give educational talks to congregations of several black churches, presumably in the Des Moines area. These talks were part of a national service program of Alpha Phi Alpha called “Go-to-High-School, Go-to-College” which stressed the importance of a college education. This program continues to this day. Among the new brothers that have filled the ranks of Alpha Nu is brother John Trice, who is destined to reach great heights in the athletic world. Winning his numerals in football last fall, did not satisfy Brother Trice. This spring, his work on the “Prep” track squad was a revelation to the most keen fans of that sport. He has frequently thrown the discuss [sic] one hundred and thirty-five feet and passing the forty foot mark with the shot, seems to be an easy matter with him. Trice has not only shown ability on the track and gridiron, but his aquatic habits have obtained for him membership to the Iowa State College Life Saving Corps. The June 1924 issue of the Sphinx (Vol. 10, No. 3, Page 17) also notes that the 1923 football team erected a bronze reproduction of Trice’s famous “Last Letter” in the men’s gymnasium (State Gym at ISU). Since his untimely death, members of Alpha Phi Alpha have been active in keeping his memory alive. Several members were active in the effort to rename the football stadium after Trice. In particular, the late Dr. George Jackson, Assistant Vice President for Student Affairs, encouraged students and alumni to write to University and Board of Reagents in support of renaming the stadium. What about the other men from that 1923 photo? A.C. Aldridge, Rufus Atwood, J.R. Otis, Frederick Patterson, John Lockett are all alumni of ISU. Atwood, Otis and Patterson went on to become the presidents of Kentucky State College (now Kentucky State University), Alcorn State University and Tuskegee University, respectively. 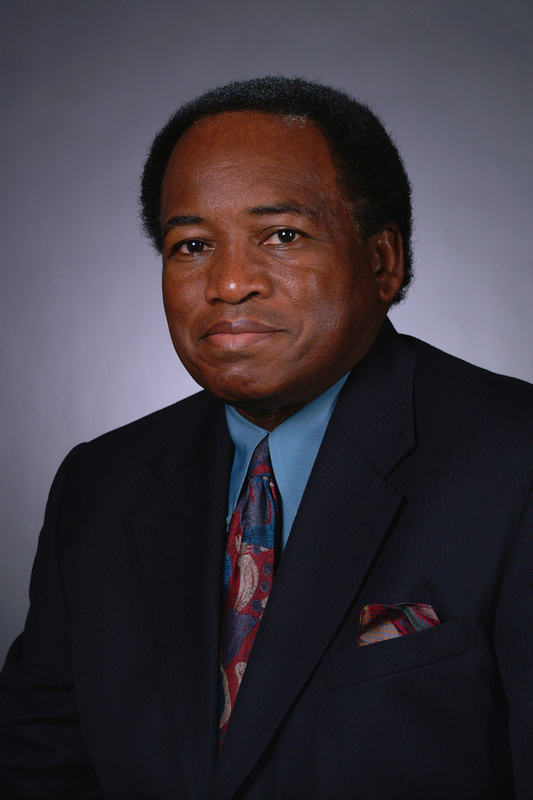 John Lockett became the Director of the Agricultural Division and Professor of Agronomy at Virginia State University. Sitting to the right of Trice is Charles Preston Howard. Howard graduated from Drake Law School, co-founded the National Bar Association and went on to have a significant career in civil rights, journalism and politics. More work is needed to uncover the stories of the other men in the photo but through his fraternity brothers Trice appears to have found men whose ambition, character and temperament matched his own. A famous poem of Alpha men concludes by saying that Alpha Phi Alpha is the “…college of friendship; the university of brotherly love; the school for the better making of men.” I am sure that Trice had a bit of fun with his fraternity brothers while also working with them to address political and social problems on campus and in American society. Trice’s ability to have a fun yet meaningful campus life is a standard we should set for all students. 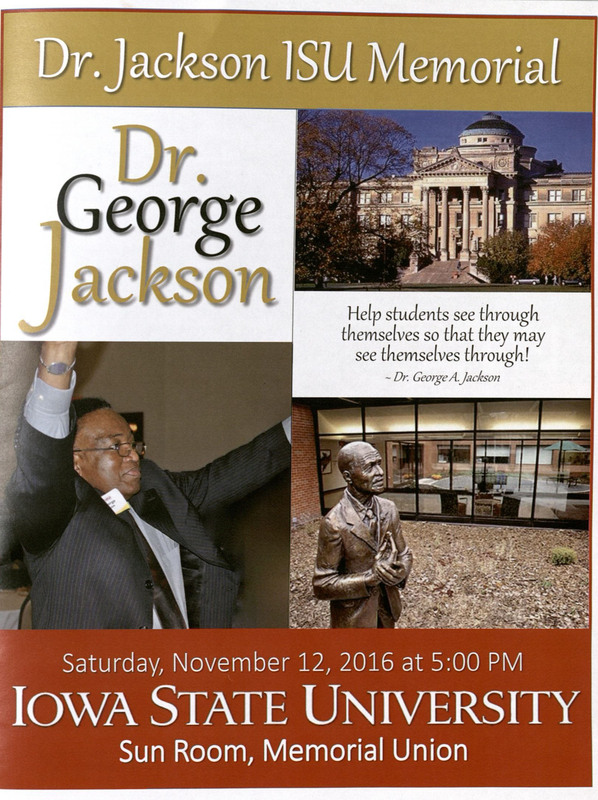 Earlier this month, I had the honor of attending Dr. George Jackson’s Iowa State University memorial service. For those who haven’t had the opportunity to know, work, or benefit from his labor, Dr. Jackson was the Assistant Vice President for Student Affairs at ISU, and his devotion to student success was total. He had the gift of service, and he created a sense of community and support among students of color like I have never known. As a graduate student living in Ames, Iowa, thirteen hours away from home, I always felt a sense of community, and much of that can be attributed to Dr. Jackson’s relentless work on behalf of students, the black community, and the greater Ames community. Many other ISU grads can attest to Dr. Jackson’s extraordinary commitment to students and did during his memorial service. 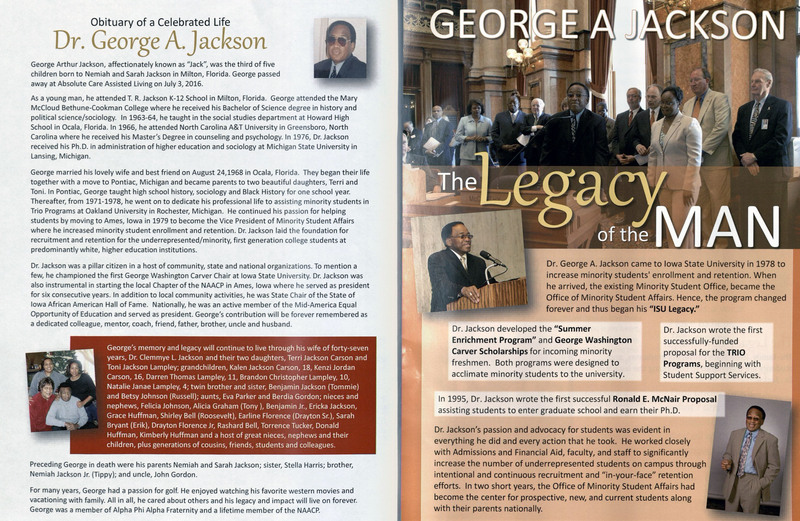 Cover of Memorial Service Program for Dr. George Jackson. 12 November 2016. There are many actions he took, programs he started, and roles he played that one could cite as evidence of Dr. Jackson’s legacy. For this blog post, I will focus on one item that exemplifies his commitment and passion for student success: an Iowa State Daily article that he wrote during fall semester 1992. 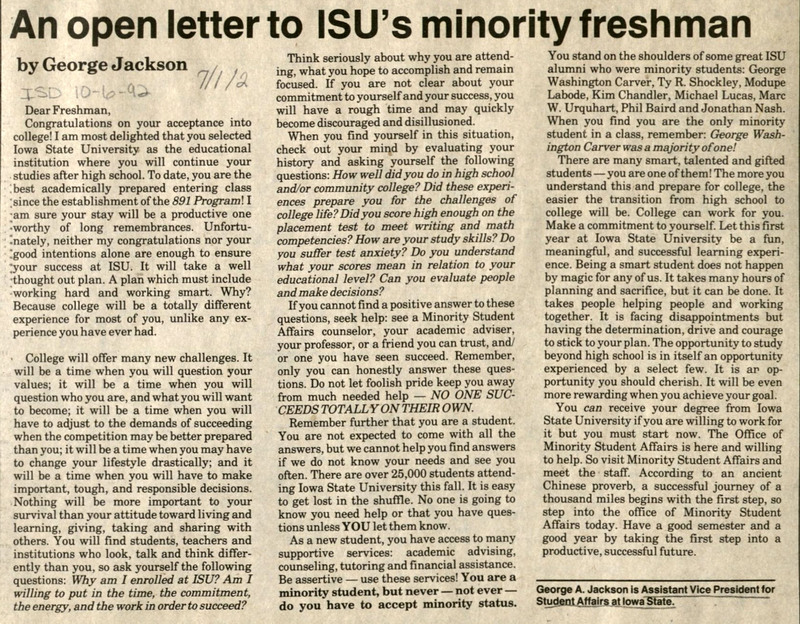 In the article, entitled “An Open Letter to ISU’s Minority Freshman,” Dr. Jackson congratulates, encourages as well as directs the new freshman on how to be a successful student at Iowa State. Although he wrote the article 24 years ago, the main points still resonate today. The first point is “College will offer many new challenges” that may make freshmen question why they are at Iowa State. The second point is that freshmen should do a self-assessment and then use all of the ISU resources available to succeed when those feelings of doubt surface. He writes, “NO ONE SUCCEEDS TOTALLY ON THEIR OWN” and shares that they are part of a lineage of ISU alumni of color who have positively impacted the world and achieved great things. He ends his article confirming to this freshman class that they are intelligent and talented and with hard work and support, they will succeed and reach their ultimate goal: an ISU degree. We at Special Collections and University Archives are committed to securing the legacy of Dr. Jackson through collecting and making accessible the documentation of programs he started, and the materials that feature his life and legacy. Feel free to leave your comments about Dr. Jackson and his influence on you or ISU students in the comment section of this post. Special Collections and University Archives has several collections devoted to women’s suffrage and women’s groups involved in the political process. 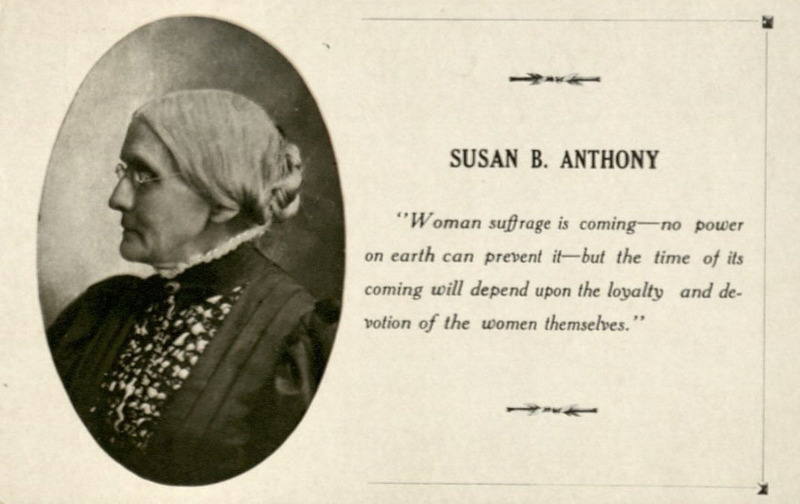 On this election day, we are spotlighting Susan B. Anthony, who played a major role in the women’s suffrage movement and, arguably, remains the most famous and iconic member of that movement. Here’s hoping that you are exercising your right to vote! Meet Petrina Jackson, New Head of Special Collections and University Archives. If you would have told me that when I graduated from Iowa State University in 1994 with my MA in English that I would return twenty-two years later, I would have never believed you. However this past April, that is exactly what I did. Much has happened during those years to prepare me for my homecoming to ISU. After I graduated from ISU, I began my career as an English professor at Elgin Community College in Elgin, Illinois. During my time there, I learned a great deal about teaching, student success, and what makes good writing good. It was a positive experience overall, but with a five minimum course load per semester and endless papers to grade, I knew that I would not retire from that field. Seven years in, I decided to change careers and become an archivist. Becoming an archivist required going back to school, so sixteen years after I graduated from ISU, I earned my Master of Library and Information Science with a specialization in Archives and Records Management from the University of Pittsburgh. The road to being an archivist has taken me to several incredible academic universities, including Cornell University’s Division of Rare and Manuscript Collections in the Carl A. Kroch Library, where I served as a senior assistant archivist and made connections with students, alumni, and community members, teaching the importance of preserving their historical records and planning events to spotlight those records. From Cornell, I moved on to the University of Virginia (U.Va.) and served as head of instruction and outreach for the Albert and Shirley Small Special Collections Library. At U.Va., I created an instruction program that increased the number of class sessions using special collections materials by 170%. After eight years at U.Va., I wanted the challenge of overseeing and growing an entire Special Collections’ program. When the opportunity arose to apply for ISU’s Head of Special Collections and University Archives (SCUA), I went for it. My goal at ISU is to make SCUA central to Iowa State’s curriculum. ISU is a student-centered research university, and part of the goal of the Library is to help prepare students to become strong researchers, which includes learning to do the deep detective work of navigating through primary sources to find the answers to their research questions. This type of work goes far beyond performing Google searches. It requires critical thinking, patience, and stamina to look for information in its rawest, unadulterated form. Acquainting and immersing undergraduate and graduate students to primary sources research through coming to SCUA with their classes, using primary sources in their course assignments, and researching for their own scholarly project in our reading room are ways to build and flex these skills. Our main goal is to make SCUA a vibrant place for the ISU community, Iowans, and all who seek further knowledge in our research areas, be it for a middle schooler’s history day project, a retiree’s family genealogy, an undergraduate’s class assignment, a graduate student’s thesis or dissertation, or a faculty member’s publication. So come over to Special Collections and University Archives and dig into our rich resources, or just stop by and say hi! We would love to meet you. Photograph of Petrina Jackson by Rachel Seale, Outreach Archivist, 6 September 2016.